"The quality of teaching is outstanding. Exemplary relationships between staff provide excellent role models for children and promote high standards of behaviour." Free nursery education for 3/4 year olds for 15 hours and 30 hours if eligible. Free 2 year old funding is available for 15 hours is criteria is met. All staff are first aid trained and DBS checked. 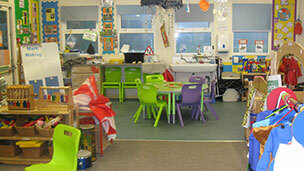 Casper Nursery has been sited at Capel Le Ferne Primary School for 15 years and was set up to provide excellent childcare and educational facilities for all families in the surrounding areas. All practitioners employed in the setting are fully qualified to a level 3 qualification and are motivated and passionate about providing specialised services for parents and children. Team members are kept up to date on legislatory practices within the areas of special needs, Child Protection and English as a second language. We recognise that all children are individual and are diverse in all areas and are treated with respect. All children are given space, time and are listened to, which makes this nursery a happy and exciting experience for all your precious little people. "To provide a safe and secure environment, which offers a high quality caring and educational service for all children"
"Our provision is a fun, friendly and enjoyable place where little people can express themselves fully whatever their need, culture or religious belief." Copyright © 2013 Casper Nursery. All rights reserved.